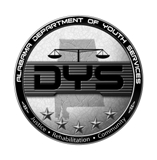 MONTGOMERY, AL -- “Teaching in the Writing Our Stories program is the most important and rewarding work I’ve done,” said Marlin Barton, teaching writer for Writing Our Stories at the Alabama Department of Youth Services (DYS) Mt. Meigs campus. This week Barton and his student writers will launch “Open the Door 20,” poems and stories, in an on-campus event. The book launch, set for October 19 on the Mt. 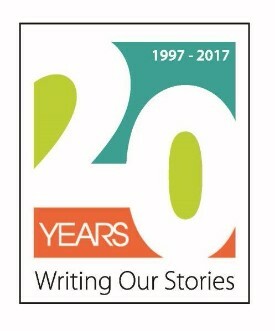 Meigs campus for students, faculty and special guests, celebrates twenty years of the literary arts and juvenile justice partnership known as Writing Our Stories. “For the students in this program, writing isn’t just something they want to do, it’s something they need in an almost visceral way,” Barton said. “It allows them to examine and know themselves and their world better, to communicate who they are and to understand others more deeply, and to say ‘I matter’ in a way that validates and gives them a sense of self-worth,” he said. Barton is an award-winning fiction writer whose short stories and novels have been widely published during his tenure as a teaching writer in the program. “The work of these young writers is a continual reminder to me of how much writing matters, and it inspires me to write at my very best every time I sit down at my desk,” he said. Alabama Department of Youth Services executive director Stephen P. Lafreniere applauds Writing Our Stories as an important part of the educational plan for the students who take part on an elective basis. “The Department and our students have benefited tremendously from the vision and partnership created with the Alabama Writers Forum more than 20 years ago. This creative writing program was ahead of its time then and remains one of the best programs offered to our youth,” Lafreniere said. The program is also in place on the Vacca campus of DYS in Birmingham where poet Jerriod Avant has just started his new year of teaching. 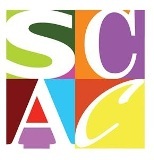 On November 2, Avant and the new class of Vacca students will launch “Mapping my Truth,” the 2017 anthology edited by former Vacca teaching writer Tony Crunk from the past year’s class of writers. Like Barton, Crunk published collections of poems and other work during his 9-year tenure with the program. Crunk relocated to St. Louis this past summer with his family.